I’m planning a book on Systemic Leadership. This section of my blog is the work in progress. Based on the increasing number of organizations using some or all of the approaches outlined in Part 4, it is becoming clear that significant changes are starting to emerge in the way organizations view leadership development. New thinking around the ways leaders develop their abilities and effectiveness, the role of the organization in supporting this process, and how support systems can be developed, is showing clear systemic tendencies. Underlying these changes are several shifts in perspective. These are the subject of this final section of the Module, and the perspectives are presented as a set of contrasting questions followed by a brief outline of the issue being illustrated. 5.1 Development as a process. We have a manager who needs development … here are the facts … which programme is needed? We wish to engage a high potential manager in a process of development over time … maybe up to five years …where do we begin? The business environment of the 21st Century creates a sense of urgency to produce short-term results, and thus short-term solutions. In this sort of climate, those advocating a long-term systemic approach to development face a real challenge from colleagues with a bottom-line orientation. But the fact remains that development, by its very nature, occurs as a process over time. There is no such thing as a quick fix! 5.2 Keeping the ‘whole’ in view. As part of my annual appraisal I am required to do some training … what would you suggest? I’d like to achieve a balance in my development activities for this year … what I’m already doing is … what I think is lacking is … what other experiences might I integrate with what I’m doing? Many organizations believe that training is the ‘stuff’ of development, and the organization’s role is simply to provide training. But increasingly the view is emerging that training is one component of the development process. This view is encouraging organizations to expand their portfolios to include 360-degree feedback, feedback-intensive programmes, skill-based training, job assignments and developmental relationships – in short, the full range of development experiences described in Section 5, above. I need to create a development experience for a specific team … they are reluctant to take the time out … how can I convince them that this development is critical? I need to create richer learning experiences for a team … I’ve been working with them to explore ways of building more development into their day-to-day operations … can you help me design some assignments that will provide powerful learning experiences for the team? Making selection decisions for new positions with at least one eye to who it might serve as a significant development experience. Today, development does not mean taking people away from their work. It means helping them learn from their work. 5.4 From simplicity to complexity. How can I make this manager a better communicator? How can this manager learn how to influence a cross-functional group of people with widely differing perceptions in order to deliver innovative solutions that everyone buys into? In an environment where organizations face continual change, rapid innovation and globalization, complexity is being accepted as the norm. People who have to manage in this complex world have complex development needs. The learning challenges are often steep and multidimensional. Although clearly defined training objectives were the focus of the past, the 21st Century requires us to meet development goals that are continually evolving and linked to an unstable mix of benchmarks and competencies for exploitation in an ambiguous future. How can I get my employees to realise they are responsible for their own development? How can we come to an agreement as to our shared responsibilities and roles in the development process? With the extinction of the paternalistic organization and the evolution of the new employment contract, the issue of employee responsibility for personal and professional development looms large. However, in some organizations the pendulum has swung too far. Organizations with a systemic perspective know that all levels – individual employees, their line managers, HR professionals, senior executives, and the organization as a whole – must be closely involved with all aspects of development. In Parts 1 to 3 we explored the foundations of systemic thinking and its relationship to the reductionist and connectivist paradigms. We considered new ways or working within organizations and new ways of leading in a time of change. We will now turn our attention to how we can develop ourselves, and others who lead or aspire to lead, in ways that are consistent with the challenges of the 21st Century and underlying assumptions of systemic leadership. 360-degree feedback is a method of systematically collecting opinions about a person’s performance from a wide range of co-workers. The benefit of collecting data of this kind is that the person gets to see a panorama of perceptions and is able to see these in the light of their own perceptions. When embedded in a larger leadership development process, the impact of formal 360-degree feedback can be highly significant. Below is a typical example of part of a 360-degree feedback form. 2 Creates order out of large quantities of information. 3 Keen observer of people, events and things. 6 Adept at disseminating information to others. 7 Crisp, clear and articulate. 8 Good public speaker, good at performing. 9 Makes points effectively to a resistant audience. 10 Strong communicator on paper. 11 Action oriented, presses for immediate results. 13 Trouble-shooter, enjoys solving problems. 14 Implements decisions, follows through. 15 Weighs consequences of complicated actions. In the life of a busy organization, people often find themselves feedback-starved as they get caught up in day-to-day pressures and fail to pick up the cues from others. Furthermore, giving and receiving feedback are threatening activities for many people, and they may not feel that either is worth the risk. Formal 360-degree feedback processes help to address these issues, although the process may take significant effort in terms of understanding and interpretation the results. This usually requires the services of an expert. They include feedback that would normally be untapped (customers, suppliers, clients). The assessment component of 360-degree feedback is self evident. It can be use to help people answer the question “How am I doing?” by providing the perspective of multiple raters. The challenge component of 360-degree feedback is in facing what people who have multiple perspectives really think of you, and comparing this with your self-concept. This kind of introspection can seriously challenge our comfort zone. But perhaps the greatest challenge of all is answering the question “Now that I have the data, what do I do with it?” In this sense, it serves as a valuable ‘unfreezing’ process. Following-up conscientiously on the development plan. When someone shows signs of potential derailment, being passed over for promotion or faltering in performance in normally strong areas. 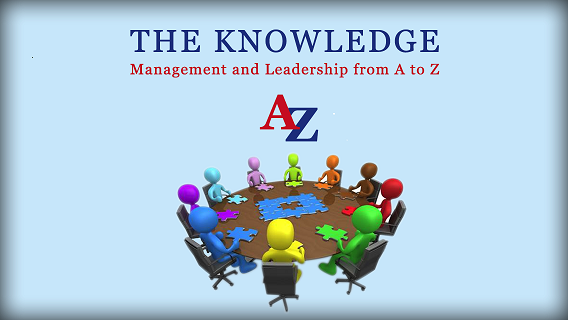 The programme provides concepts and models for reflecting on various aspects of leadership. Rating forms completed by their bosses, peers and staff (360-degree processes). Programme staff use the data as raw material for feedback reports that are delivered at appropriate times during the residential component of the programme. Generally, this is a five-day event containing structured experiences such as leaderless group discussions, simulations and targeted exercises. When placed early in a programme, leaderless group discussion can help group members get to know each other and provide valuable corroborative data to compare to the feedback they receive later in the programme. Simulations in some way replicate aspects of people’s real-life jobs. They can be as small as an in-tray exercise taking an hour to complete or as large as a full-scale simulation of two organizations working together that takes a day to complete. Watching how people perform in simulations can provide data on how effectively someone finds and assimilates information, communicates it to others, and works with others to solve problems. Targeted exercises are short, experiential exercises done in small groups that provide assessment data and serve to reinforce a point made in the classroom or a theme that is central to the programme. Unlike simulations, targeted exercises such as do not attempt to replicate the actual work environment. In many exercises, people are encouraged to choose a behaviour they are considering changing and experiment with it in the safe environment of the classroom with a group of trusted peers. It is important to provide participants with structured support as they continue to reflect on what they have learned about themselves and pursue goals and action plans. This may come from a wide variety of coaching or peer relationship options, often combined with the keeping of a journal. The assessment component of feedback intensive programmes is present throughout the process, which immerses participants in rich data about themselves and their interactions with others. The challenge component of feedback intensive programmes comes from the amount and intensity of the feedback, the discomfort of being rated while engaging in new and demanding tasks, and encounters with different ideas and perspectives. The support component of feedback intensive programmes is provided by both the programme staff and the other participants. The climate in the training room is relationship-based and over the course of the programme the group becomes a community of learners who grow to trust each other. The basic assumption of skill-based training as applied to leadership is that through a series of step-by-step instructions and demonstrations, managers can learn the skills and techniques of leaders. This approach encompasses two types of learning – knowledge and skills, i.e. the cognitive and the action domains of learning. The basis of modern skills-based training programmes is the research that has been carried out over the last decade or so, which has identified a range of specific competencies that are linked to effective leadership, e.g. visioning, self-awareness, systemic thinking, motivating others and self-confidence. Some of these lend themselves to the feedback-intensive approach, others lend themselves to skill-based training approaches whilst others benefit from a combined approach. A criticism often levelled at skills-based training when used in the context of leadership development is that leadership competencies are too broad-based to be approached in this way. However, broad competencies are made up of a range of more focused skills, and it is these skills that are amenable to development through skill-based approaches. With regard to the approaches typically applied to skill-based training, these can be view on a continuum from low to high interactivity, with each suited to its own category of skills. Low Lecture Conceptual information such as theories, models, principles and techniques. Low/medium Case Study Complex skills such as the ability to see alternative solutions, question assumptions, think analytically, detect and solve problems. Medium Role-play Interpersonal skills such as conflict management, negotiation, influencing, team building, active listening, giving and receiving feedback, and communication. High/medium Behavioural role-modelling Same as role play. High Simulations Problem solving, interpersonal skills and analytical thinking. The challenge component comes from being taken out of one’s comfort zone and into new waters. Moreover, role-plays, behaviour modelling and simulations are relatively safe ways to put individuals into situations where they can try out skills, with relatively little consequence from their mistakes. The support component is around providing the opportunity for learners to apply newly acquired skills within their job context, i.e. supporting the transfer of learning. Organizations, and line managers, vary greatly in their willingness and ability to allow appropriate transfer of learning. Barriers include competing priorities, fear of errors and cognitive dissonance. As there is some overlap, and often confusion, between feedback-intensive programmes and skill-based training, it is worth considering the similarities and differences in a structured format. Purpose To improve performance in specified skill areas. To gain in-depth understanding of strengths and weaknesses and develop increased self-awareness. Focus Narrow focus on only specified skill areas. Wide focus on a broad range of potential strengths and weaknesses. Use of feedback Feedback is used as a tool for assessing pre- and post-training skill levels and for increasing skill level during training. Feedback is used to understand how one is viewed from multiple perspectives and how one’s behaviour has an impact on others. Use of practice An ample opportunity to practice new skills through experiential activities is essential to good skill-based training design. Practice is necessary to improve skill levels. Little, if any, practice of new skills. Experiential activities are used to generate data about oneself, one’s behaviours, and how these behaviours are viewed by others. Content Design includes prescriptive information, specific models, checklists and tactics for use. Design includes information that helps participants organize their experiences (rather than prescriptive information). Typically includes models and concepts. Job assignments are one of the oldest and most effective forms of leadership development as they provide the opportunity to learn by doing. What makes a job assignment developmental is an appropriate degree of stretch or challenge. Below are some examples of the types of challenge that can be provided by a range of assignments. Managing personal transitions Being the inexperienced member of a project team. Taking a temporary leadership job in another function. Managing a group or discipline you know little about. Leading change Launching a new product, service or system. Dealing with a business crisis. Reorganizing a team. Resolving performance problems. Adapting to high levels of responsibility A high level assignment with tight deadlines. Representing the organization to the media or influential outsiders. Acting-up in a manager’s absence. Influencing and negotiating Presenting a proposal to top management. Serving on a cross-functional team. Managing an internal project such as a company event. Overcoming obstacles Working in a situation where there is little or unclear direction from senior management. Starting a new project with few resources. Critically, a structured approach needs to be taken to job assignments if the greatest benefit is to be obtained, and a typical time scale would be 2 to 3 years for effective learning and consolidation. The following questions will facilitate learning from a developmental assignment. About yourself 1. What strengths do I bring to this job? What will help me? 2. What are my developmental needs? What might hinder me from being effective and successful? 3. What aspects of this job may be particularly challenging? 4. What can I learn from this job? What do I want to learn? 5. What do I need to know to do this job effectively? 6. What might make it difficult for me to learn? About the assignment 1. What are the organization’s objectives for me in this job? 2. What are my own personal objectives in this job? 3. How does this job fit with the organization’s mission, values and goals? 4. What do I know about this job? What are the tasks, responsibilities and requirements? What are the key leadership challenges? 5. What are my staff like? 6. What is my boss like? 7. Am I likely to encounter any resistance/ What steps might I take to overcome it? 8. Who can help me? Where can I turn for support? 9. What other resources do I have available to me? 10. Is there anything I would like to change about this assignment? During and after the assignment 1. How can I monitor my learning progress? (e.g. journal, coach). 2. What am I learning? Anything I didn’t expect? 3. What am I not learning that I thought or hoped I would? Why? 4. How will I know I have learned what I wanted and needed to learn? The assessment component of job assignments may be grounded in a gap analysis of the individual’s current job description and that of a target job to which the individual and the organization are aiming. Alternatively, job assignments may form part of a fast-track programme for individuals perceived to have high potential but who lack experience. Referent Power. This is the quality that causes an employee to emulate his or her boss. Bosses who have referent power are regarded as role models; people want to become like them. Their views, values, mannerisms, skills and even gestures may be studied and copied. A manager with referent power exercises a strong influence on the thoughts and actions of employees. Expert Power. A manager who possesses relevant expertise can influence others because of this expertise. This is the one area in which technical competence, skill and knowledge can contribute to a leader’s effectiveness. Expert power is related to referent power in that knowledge is a respected characteristic. Reward Power. Since people are motivated by the desire to satisfy a particular set of needs, rewards are valuable tools for influencing behaviour. These can take many forms, ranging from money to praise (especially in front of a worker’s peers). Most managers control rewards; employees understand this. Coercive Power. Use of reward power is positive leadership; use of coercive power is negative leadership. The stronger the penalty, the more negative the leadership. Many managers use both types of power every day. Whichever predominates sets the climate within the work group. Legitimate Power. Managers doing prescribed jobs within their rightful authority have, by definition, legitimate power. Because they represent authority employees normally will follow their lead. Only if managers exceed what employees believe are their limits of authority do the managers cease to have legitimate authority, in the eyes of their employees. The support component of job assignments may take a variety of forms such as endorsement of one’s ideas and actions, coaching, mentoring, facilitating and providing an outlet for stress. In this section we focus on relationships within work settings that are particularly developmental, i.e. relationships individuals point to as being their key sources of assessment, challenge and support. The first thing to consider is the various roles other people can play in the leadership development process, and then look into how the use of these relationships can be maximised. Thereafter, ways to enhance access to these relationships within organizations should be considered. The role of others in the developmental process is outlined below for each of the elements … Assessment, Challenge and Support. Role: feedback provider, sounding board, point of comparison, feedback interpreter. Function: to provide on-going feedback as the person learns to develop and improve; an evaluation of strategies before they are implemented; a benchmark for evaluating own level of skill or performance; assistance in interpreting and integrating feedback from others. Role: Dialogue partner, assignment broker, accountant, role model. Function: Perspectives or points of view different from own; access to challenging assignments (new or additional); pressure to fulfil commitment to development goals; examples of high competence in areas being developed. Role: Counsellor, encourager, reinforce, cohort. Function: An examination of what is making learning/development difficult; a boost in own belief that success is possible; formal rewards for progress towards goals; the sense that you are not alone. Not assuming relationships need to be long-term or intense to be developmental. Maintaining continuous monitoring and evaluation. The forms that formal developmental relationships can take on, along with considerations around when to use them and the potential problems they may generate, are summarised below. Mentoring – When senior mangers have the time, experience and expertise to share with junior managers. – When junior managers need exposure to the perspectives and job demands of senior managers. – There may be a lack of integration with other management development strategies within the organization. – Senior managers may not have the skills and motivation to teach others. – There is the potential for role conflict between the boss and the mentor. – May cause resentment for managers who have not been selected to participate. Peer Coaching – When individuals need experience or familiarity with issues and perspectives in other functions or parts of the organization. – When individuals need coaching to get up to speed in a business knowledge or technical area. – When improved cross-group communication is desired. – When peers going through similar experiences need opportunities to learn from and support each other. – Managers may not complement each other. – The organizational climate may not promote open communication between colleagues. – Managers may feel resentful about being asked to coach and assist other managers. – Managers may not have the time or motivation to participate. Executive Coaching – When a high-level executive has no peer or boss who can serve as coach. – When there is the need for the professional skill of someone in behaviour change strategies. – When a concentrated period of coaching on a particular skill is required. – The experience and skills of the coach may not meet the needs of the executive. – May be too expensive. – May undermine other’s confidence in executive coaching if it is not kept confidential. Coaching in Groups – When potential coaches are in short supply. – When it is anticipated that peers can learn and benefit from each other. – When increased cohesion among group members is desired. – Some participants may need more individualised developmental attention. – Potential coaches may lack the skills, time or motivation to mentor a group. – Requires a fair amount of time and planning to be effective. – There is the potential for conflict between the group coach and the managers of participants. The assessment, challenge and support components of developmental relationships are, as shown in the table at the top of this section, integral with the relationships themselves. Systemic leadership actively incorporates, integrates and practices the new ways of working – relating, influencing and leading. It is a higher order of leadership, one that matches the complex complexity of the 21st Century. In Part 3 we will explore eleven new competencies that flow from the four new ways of working. A competency is the ability to learn new knowledge and/or skills and be able to apply them to a wide range of situations. Each of the competencies we will now explore has a personal and organizational dimension. This reflects the depth of transformation required for real change to happen. In the spirit of drawing on analogy from the natural world, the relationship between the personal and organizational dimensions may be represented by the double helix in a DNA strand. One strand is related to personal competencies, whilst the other strand is related to organizational competencies. These two strands of competency combine to create a code that determines the nature and behaviour of the organization. (a) The ability to actively engage. On a personal level we have to develop an action-oriented mindset, i.e. one associated with the latter four engagements given above. This requires the belief that our actions can make a difference (a key prerequisite of motivation) and therefore we should choose action over passivity. On an organizational level we must start to learn how the system operates, what our role is within the system, who our allies are with respect to change, and where the leverage points are within the system that allow natural dynamics to bring about transformation. (b) The ability to collaborate. On a personal level, collaboration requires the development of trust and authenticity. When we trust others we share our thoughts and feelings because we believe they will not be held against us. When others share their thoughts and feelings with us, they perceive us to be trustworthy and believe we will not hold their thoughts against them. If we have relationships built on trust we will be more open and able to collaborate with others. On an organizational level, this competency involves cultivating collaborative relationships and, in order to influence change, developing a network of individuals who will help influence the system in a desired direction. (c) The ability to continually learn. On a personal level, this competency involves becoming an integrated learner, i.e. one who continually creates feedback loops between the domains of new knowledge, skills and daily practices in order to accelerate and inform learning and creativity. On an organizational level, constant change requires groups to accelerate the sharing of new knowledge, skills and daily working practices in order to adapt to the changing conditions of their environment. The purpose of continual learning is to survive and thrive within an ever changing environment. (d) The ability to hold diverse perspectives. On a personal level, appreciating different perspectives is an essential prerequisite for a full understanding of highly-connected systems. This appreciation has its foundation in our individual responses to diversity. Do we value and respect difference? Do we believe that diversity enhances and enriches our personal lives? Individuals who thrive on diversity would seek it out and actively incorporate different perspectives, experiences and individuals into their lives and worldview. On an organizational level, leveraging multiple perspectives is needed if the system is to benefit from the diversity that is inevitably present, rather than be restricted by the prejudices or fear often associated with diversity. The ultimate aim of capitalising on diversity is to move from individual intelligence to collective wisdom. (e) The ability to express emotional maturity. On a personal level, emotional maturity is the capacity to be attentive to what is happening around us and empathic with others, enabling us build relationships based on trust and authenticity. On an organizational level, we must be aware that in a highly-connected world, emotions flow freely through the connections. During periods of change, an organization can be swamped with emotional overload. Collective emotional maturity allows organizations to deal productively with the emotions they propagate and, as a result, personal and organizational learning is accelerated. (f) The ability to engage with paradox. On a personal level, seeking out paradoxes and living with them can prepare us for the jumps and leaps that are the natural dynamics of highly-connected systems. Paradoxes often provide a way of seeing the non-linear nature of networks. On an organizational level, optimising the relationship between opposites can help systems evolve. For example, the tension between chaos and control can lead to new forms of innovation in an organization. Optimising the tension between challenge and support can facilitate growth and development in individuals. The tension between anxiety and boredom can facilitate learning. (g) The ability to make meaning. On a personal level, what this search is, and how it is conducted, is highly individualistic. The search for meaning has been a human pastime for at least five millennia. Some argue that it is the inevitable consequence of a self-conscious brain. On an organizational level, fostering communities that are organized around a shared sense of vision is critical for the leadership of a highly-connected system. And communities of meaning in a highly-connected world can be created over great distances, e.g. the development of ‘virtual universities’ that draw on expertise that would otherwise be impractical to draw together into one physical space. (h) The ability to see and understand patterns. On a personal level, the ability to recognise the paradigm that provides the most powerful explanation of the dynamics of the system we are interested in is a critical competency. This is about recognising the importance of context and understanding its effect on what we are seeing and on the interventions we may make when trying to influence the system. On an organizational level, pattern recognition is the key. In any situation there are multiple assumptions and paradigms that can be chosen to provide explanations as to what is happening and what needs to be done. In a closed system, tradition ‘blinds’ insight. Seeking and being open to new patterns is what is needed in a highly-connected world. (i) The ability to undergo profound change. On a personal level, in order to facilitate deep organizational change we need first to develop the capacity for personal transformation. Most people will not follow a leader who does not lead by example. And we must overlay this with the recognition that all influencing relationships are two-way. If we are asking others to be open to our influence, we must be open to being influenced by them. On an organizational level, the transformation of an organization is the product of the transformations of the individuals within it. In turn, the transformation of individuals is a product of the transformations of the organization. An understanding of this feedback loop is essential for guided evolution – and revolution. (j) The ability to see and understand connections. On a personal level, seeing connections within a highly-connected system is a core competency in facilitating effective influence. People become ‘systems thinkers’ when they see and understand how their part of the organization fits with the whole system, when they see how the past effects the present and how the present effects the future. On an organizational level, highly connected systems have emergent properties, i.e. are greater than the sum of their parts. System dynamics looks at how the whole organization behaves, anticipates, understands and then engages with change. Once individuals can see the connections within systems, they need to apply this knowledge to the organizational level by developing the capacity to leverage the dynamics of the connections to facilitate and influence change. (k) The ability to sustain effort. On a personal level, this is about sustaining your personal balance. Because highly-connected systems constantly change, and never shut down, we need to develop and conserve our energy and resources over the long term. In finite games, we can come close to burn-out or injury because we know there will be a rest period between games. In a highly-connected system there is no rest period – the action is non-stop. Therefore we need to develop the competency of sustaining our own balance so we can maintain endurance over time. On an organizational level, we need to develop the capacity to sustain the organization and its resources over time. Resources include people, material and intellect. The practice of systemic leadership challenges us to formulate new assumptions that explain our world and the organizations we inhabit. Applying these assumptions to our work leads us to adopt new roles within our organizations. These new roles can be practiced from anywhere, not just through positions of authority. The development and refinement of the eleven new competencies are necessary for the practice of systemic leadership, and with these competencies we can help our organizations transform themselves and increase their capacity to thrive within our increasingly connected world. The ideas that have been introduced and explored in the preceding sections are not complete until each of us further develops them to our own individual and organizational contexts. If not this, what? If not now, when? If not me, who? Hock, D.W. (1996), System thinking. Keynote address presented at the Systems Thinking Conference, San Francisco. The growing role of technology in our lives, the impact of mass media and the drive towards a global economy, are all fuelling the rapid growth of our connections with the environment. We take for granted the many highly-connected systems in our lives. For me to visit a friend in Edinburgh with my family for the New Year celebrations last year, some of the systems upon which I depended included the internet over which I booked my flights, computer networks for airline ticketing, weather systems that would determine the speed and comfort of the flight, air traffic control systems that would ensure our safety, spaces available at the airport car parks, my car’s mechanical system, motorway and local traffic systems, my own – and my family’s – biological systems, the technical infrastructure systems such as electricity and water that support these other systems, and … this is to name but a few of the more obvious systems! This illustrates the interdependences that need to work efficiently for me to ‘take for granted’ that I will be where I want to be (Edinburgh), when I want to be there (New Year’s Eve), with the people I want to be there with (my family). Relating this to a ‘traditional’ tool of management, open systems theory describes how organizations consist of multiple systems with interdependent networks that cross the boundaries of what, increasingly loosely, defines the boundaries of the organization. Drawn from the biological sciences, open systems theory emphasises connectivity. (d) Practice new ways of relating. (a) Optimising relationships and connections. Virtually all organizations have a clear goal, often supported by an aspirational vision. But as layers of organizational complexity develop, in the form of distinct work units and functions, the ‘message’ becomes corrupted by alternative views of the world drawn from local concerns. Disharmony is frequently the result. As a result, some effective leaders think of themselves as the conductors of an orchestra, with their task being to bring the component instruments of the orchestra back into harmony, and maintain the pace of activity set by the score from which they conduct. Developing this analogy yet further, the requirement for some of the new organizations of the 21st Century will be to effectively improvise around a theme rather than follow a well-conducted score. The implications for instrumentalists and conductor alike – regarding communication, empathy and a deeper connectedness – will be clear to any musician! However, the reality for most people within most organizations is fragmentation, i.e. individuals are unaware of the overall vision, how they fit within it and, indeed, how the overall system functions. But despite our naivety, what we do in our various positions affects the whole system in ways we little appreciate. In our capacity to bring about or assist in organizational change, we need to wise-up to our role and influence by nurturing wider perspectives and a broader range of relationships. Optimising relationships involves seeking and incorporating diverse ideas and perspectives, and formulating relationships based on trust and integrity. In a connected world, these skills take on great importance. Our value and effectiveness to an organization is directly proportional to the degree to which we engage with what the organization is trying to achieve as a whole, rather than taking the parochial view of what’s going on in our unit or division. Becoming a facilitator of connections requires an increasing amount of time to be spent on developing and maintaining relationships with others. In connected organizations, the relationships we build become the key sources of coordinated effort and, as such, should become a part of everyone’s daily working practice. There are, of course, some key challenges to be met. One is of making time available to develop and maintain appropriate relationships. Added to this is the fact that it is often difficult to start opening channels of communication across organizational boundaries. But the cost of not building relationships is one of being in a fragmented organization that drives our behaviours down increasingly short-sighted, unproductive, and unsatisfying paths as we become disjointed from the vision and frustrated by poor communications. Remarkably, most organizations attempt to control, restrict, or manage information and knowledge. This traditional approach maintains a hierarchy in which ‘management’ is differentiated from ‘workers’ in part by the knowledge and information they hold. But continued attempts to control information is not only damaging to an organization’s ability to learn, but is also impossible to maintain. Controlling information flows may appear possible when organization’s are viewed mechanistically, as linear causal chains. But when viewed as complex networks (like the Internet) the only conclusion to be reached is that information is uncontrollable and necessary for the health of the system. When an organization shares information and knowledge about the challenges it faces, the people within the organization are able to hold meaningful dialogues about these challenges, increasing their understanding of themselves and their roles. This understanding can then become the basis of a shared culture that can effectively evolve in response to challenges. In highly-connected systems, the distinction between independent and dependent variables becomes blurred. We are used to linear causal chains of logic based on independent variables because these fit nicely into the structured hierarchies of the traditional organization. But connected systems don’t work in this way. In networks there are many variables in play at the same time and the impact of these variables cannot always be immediately seen for several reasons. Firstly, there are too many variables. The weather is a perfect example of this principle. Many variables go into constructing a weather forecasting model and predictions are rarely more than a statement of what is likely rather than what will be. This is not generally a problem for us as we have an appreciation of this complexity. The same should be true of highly-connected systems. As connections increase, the numbers of variables in play also increases, so the search for meaning and prediction based on single causality is no longer a relevant pursuit. Strategic Planners have long come to terms with this fact, following the groundbreaking work of the Royal Dutch/Shell Group of Companies in the nineteen seventies and early eighties. Their pioneering work with scenarios acknowledged the inadequacies of the traditional ‘two or three independent variables’ approach of those who worked with econometric models. Shell established an approach that considered the relationships between multiple variables at play in their external business environment. From this base, a holistic approach to strategy can be established, that seeks to understand the potency of a wide range of options that will contribute to the desired outcomes for the business. However, this approach does require us to become intellectually and emotionally comfortable with ambiguity and uncertainty! Traditionally, emotions have had no place in organizations. Work was a place of rationality. Now words with emotional implications such as ambiguity, uncertainty, commitment, excitement and passion have found their way into organizational language. We also talk about cynicism, fear and withdrawal as forces to be wiped out in organizations. The people that demonstrate these behaviours are seen as a liability. Highly-connected systems facilitate the spread of emotions within an organization because they do not restrict their connections to rational information – they spread everything, including the emotions of the people sharing the information. And if there is little trust within a department or organization, everything becomes emotional. This leads to rumour and increased crises. Having a more emotionally intelligent workplace can dramatically increase our ability to productively collaborate with each other. When individuals are emotionally intelligent, they have self-knowledge, can manage their own emotions, have empathy and are sensitive to group dynamics. In highly-connected organizations where emotional content is flowing freely, we need to develop greater degrees of emotional intelligence in all employees. Based on the above, in order to meet the challenges of working with, and within, highly-connected organizations, the following agenda for action needs to be considered. Promote a trusting environment where people can speak honestly about what they see and experience. Develop your own emotional intelligence and help develop it in others. Create relational instead of organizational charts. Look for ‘families’ of solutions for interdependent problems (balance creative/divergent and critical/convergent thinking). Learn to accept the complexities of highly-connected systems (and their attendant uncertainties). (c) Optimising our influence in a highly-connected world. (a) Understanding the shifting dynamics of change. As discussed earlier (Section 1.2(d), ‘Organizations are always in dynamic flux’), the interconnected information age has changed our perception of time by increasing our sense of urgency and accelerating the need for an immediate response. This sense of diminishing time to respond to change can cause stress and frustration. Much of this frustration is founded in either the organization’s inflexibility, an individual’s inability to be open to change, or both. Within traditional, hierarchical organizations, change involves top-down initiation, the use of positional power to ensure action and the fostering of dependency relationships. A hierarchy assumes the source of intelligence is at the top of the organization and the people at the bottom of the organization are the receivers of information. The dynamics of change in a highly-connected organization involve influencing change from multiple points using gentle nudges with ‘time-outs’ for the system to respond and mutually shape the direction. Each person decides what information to draw on from a variety of sources available, and intelligence exists everywhere within the system – not just at the top of the organization. The coordinating forces for such change are around shared values, vision and purpose. No one wants to be told what to think or do. Change is initiated at the top. The source of intelligence comes from the top of the organization. Change occurs through forcefully sustained progress towards a specific goal. Change is initiated from anywhere. The source of intelligence exists throughout the organization. Change occurs through a coordinated nudging and waiting by many people who share a vision. Many people today work with the tension that is generated between these two sets of dynamics. They work in traditional, hierarchical organizations but feel the effects of increasing connectivity as their organizations function increasingly as modern, highly-connected systems. Our continuing challenge is to live with the tensions these two systems create whilst organizational structures adapt to the evolving realities of the 21st Century. (b) Adopting different approaches to change. As suggested in the final paragraph of Section 1.4 (‘Living in Both Worlds’), one of the core competencies of systemic leadership is ‘paradigm cognition’ – the ability to recognise when different paradigms are most useful and shift thinking (modelling) and behaviour accordingly. It is becoming increasingly important for us to recognise the underlying belief systems we have about change and intentionally map our change strategies to the context in which we are working. Organic change – the approach that challenges us to evolve beyond surviving rapid change to learning how to trigger natural change within highly-connected environments. By way of some background to these approaches, today, work demands different abilities and skills for different contexts. The organizing principles of ‘making change’ were effective in times of predictability. Thereafter, as the environment became more turbulent, the organizing principles of ‘surviving change’ allowed us to react to the interruptions and surprises. But now, as systems become more complex and dynamic, influencing the future through ‘organic change’ becomes critical. The following table considers these three approaches to change with respect to focus, organizational values and how meaning is gained. Focus of change – Forcing or driving change through the system by positional power. Change comes from the top. Organizational Values – Predictable and controlled change brought about by individuals who are enthusiastic about the organization’s goals. Develop long range plans and get buy-in. Meaning-making – Found in predictable patterns and staying on purpose. Holding a clear belief in the ability to succeed. Mission statements. Focus of change – Surviving change that is forced upon us from external forces. Environmental scanning is a strategic tool to help protect the organization. Organizational Values – Increase the organization’s capacity to survive. Constantly adjusting to environmental conditions. Developing individual ways to cope with change. ‘Do more with less’. Meaning-making – Found in threats and opportunities that emerge as patterns in the largerpicture of the desired result. Strong belief that we can survive this. Focus of change – Influencing the system through organic strategies. Increase organization’s readiness for change. Become a learning organization. Organizational Values – New ways of relating, new ways of influencing, new ways leading. Do business differently, develop strategic partnerships. Meaning-making – Found in relational thinking. Strong belief that collective iicture of the desired result will lead us to new ways of influencing the system. Integrated learning and perpetual innovation. Given these approaches to change, the principle challenge for all of us is to learn as we go. Organic change strategies are in their infancy and no one is yet the ‘expert’. We must each rely on our own insights and inspiration. Fortunately help is close to hand as, often when breaking new ground in thinking, it is helpful to use analogies. There are many analogies available to us from the natural world. One has already been used, that of ‘wet sand’. Another is ‘birds on a wire’. These are described below, but are only intended as a starting point for thinking about natural change strategies. Beyond these, you may wish to look for your own examples in nature. ‘Wet sand’ demonstrates one of the properties of highly-connected systems. When we stamp our foot down on wet sand it congeals and our foot is met with a hard surface. However, when we gently place our foot down on wet sand, the sand slowly ‘accepts’ our foot and allows it to sink in. Human networks have a similar response to force. Kurt Lewin, in part, recognised this in the 1950’s and developed ‘Force Field Analysis’ to help us manage change. ‘Birds on a wire’ demonstrates another property of highly-connected systems. Around Autumn, we can often see flocks of birds gathering on a telegraph or electricity wire. If you pause to watch, you are likely to see an interesting ‘dance’ before they all leave to fly south. The birds collect on the wire (or in a tree!) and after a while one or two birds take off. The birds that are left flutter their wings but choose to stay in place. The birds that took off fly in a wide circle and eventually come back and sit on the wire with the rest of the flock. Time passes and again some birds take off, usually a few more this time. The remaining birds ruffle their feathers but stay in place. The flying birds return. This process continues with time delays in between action, and each time a few more birds take off and return. Eventually, when a critical mass of birds take off, the entire flock lifts off with them. The behaviours that initially looked like failed attempts to get the flock moving were actually precursors of a large-scale change for the whole flock. This image of movement can also be seen in human organizations. A few guidelines can help each of us along our path of optimising our influence in a highly-connected world. As with the two analogies given above, these are simply a starting point for each of us to develop further what works for us. Be open to the system – our value within an open system is directly related to our connections. Find diverse perspectives to help interpret what we see when we scan the larger environment – we must learn to see the patterns emerging from apparently random events. We must ‘hear the message amongst the noise’. Recruit people who have the ability to adapt to changing environments – this means looking for evidence of a track record of adapting to changing environments. Enhance the resilience of staff and their working units – resilience is the ability to recover quickly from change and resume a sense of balance after being bent, stretched or compressed! Learn creative and critical thinking – and know when to apply each. Create a sunset clause for all programmes – define, in advance, the contingencies, life-cycles and defaults. Find stability at the appropriate level – stability should be sought at the level of what we are aiming to achieve, and not at the level of how we do things. Reward experimentation and innovation, not perfection – even if perfection were achieved, its value would soon be outstripped by the pace of change. (e) Developing the capacities of others. Meaning making is the on-going process of helping people see the connection between their day-to-day work and a shared sense of purpose. Just as a weighted keel provides stability to a yacht, meaning provides stability to an organization. The creation of meaning is the attempt to provide a keel to a highly-connected organization. (b) Facilitating the flow of energy. Energy should be generated by our activities, not consumed by them. When we bring people together, we need to be conscious of how the energy flows. If there is less energy at the end of a meeting than there was at the beginning, something is wrong with the group’s use of energy. New ways of leading experiment with new organizational structures and processes to diminish the amount of wasted energy, and generate the maximum amount of new energy. (c) New ways of relating to and influencing change. New ways of leading trigger change by using the natural dynamics of the system. This was, substantially, the subject of Section 2.2, i.e. understanding the shifting dynamics of change, adopting different approaches to change, and optimising our influence in a highly-connected world. In a highly-connected organization, one person cannot control the system, nor can one person fully understand it. However, many people working towards a core purpose can influence the system at large in a common direction. Therefore, models of collaborative, shared, or multilevel leadership become more important. Developing the capacities of others becomes essential in building a ‘leader-rich’ organization. Part 6 this Module will be concerned with this. Spend time articulating individual and organizational core values. The core values of an organization have more power to create alignment than any performance appraisal or goal setting process. By exploring individual core values and seeing how these match up to the vision and mission of the organization, a natural shared meaning evolves. Once this is in place, staff are equipped to self-organize their behaviour around their own and the organization’s values. Facilitate learning conversations. A learning conversation is different to a debate or discussion. It is a shared dialogue where different opinions are seen as an opportunity to gain a greater understanding of what everyone involved is thinking, feeling and perceiving. This is a key strategy for generating the information and learning needed to guide the development of an organization. And, furthermore, it increases the number of ways we formally and informally come together, reflect on what we are doing, what we are accomplishing, and what we are learning collectively. See and influence patterns that emerge within the organization. Taking time to observe patterns that recur on different scales throughout the organization is a way of seeing how the organization is organizing itself. As patterns are recognised and named, meanings and responses can be generated. This requires us to get off the playing field and spend some time in the stand to see the emerging patterns that evolve from the dynamics of the system. Develop and model a systems perspective. Each of us will do this differently. ‘Activists’ and ‘pragmatists’ may apply systems thinking by practicing and talking with others who also share this perspective. ‘Theorists’ and ‘reflectors’ may prefer further reading and research as a way of bringing these systems concepts into awareness and practice. Awareness is the first stage of modelling a systems perspective. The second stage involves playing with these concepts in our day-to-day work. The more we understand and practice systems thinking, the more we will personally integrate the concepts. This personal integration of a systems perspective can then be brought – through unconscious competence – to every meeting, conversation, or problem solving activity in which we are engaged. Challenge others to see systems. Once we begin to see things in larger patterns and are comfortable with blurring our boundaries, our next role is to challenge others to explore systemic perspectives as a way of viewing organizations. When colleagues use a ‘parts mentality’ in their work, we can challenge their assumptions. By comparing the ‘parts mentality’ with an holistic perspective, we can see if the dialogue helps us see the bigger picture. A quiet revolution is happening in organizations. As we move ever deeper into a connected world, it is the relationships between people and systems that is becoming the essential focus of our attention rather than the traditional approach of focusing on the people/systems themselves. Systemic leadership integrates the traditional reductionist paradigm with the emergent connectivist paradigm in order to more effectively approach relationship challenges. The systemic approach to leadership is essential for those who wish to influence complex organizations in rapidly changing environments. The management of change seems to be more problematic than it used to be? The drivers of change are more complicated than they were in the past? It is becoming increasingly difficult to draw practical advice from the overwhelming amount of information available? These are all symptoms of living in a world of increasing complexity and of geometrically multiplying data. Conclude that systemic leadership is “both/and”, and not “either/or”. Our traditional view of the world is based on the reductionist paradigm. In a reductionist’s world, the whole is the sum of its parts. Take, as an illustration, the car. The whole system that is a car is built up of parts in a rational, and highly researched way. It can be taken apart and put back together again. Parts can be replaced. The traditional view of organizations is similar. Organizations create departments or divisions (independent parts) that have responsibility for specific functions (like the parts of a car). The Chief Executive, like the driver of a car, is expected to control the speed and direction of the organization. The organization, like the car, has distinct boundaries that separate it from its outside environment, but is designed to access resources from the environment as well as contribute to it. The key assumptions associated with a reductionist’s approach to organizations are as follows. (a) Organizations can be understood and managed from an ‘independent parts’ perspective. The assumption here is that if something is not working there is a part of the organization that is defective and needs replacing or, at least, repairing. Once it is replaced, the organization will, once again, function well. This focus on an organization’s parts often leads to the false conclusion that the organization is no more than the sum of its parts. Furthermore, traditional organizations list their physical and financial resources and assets in their annual reports as evidence of their overall strength. Business convention, and the City, require this. (b) An organization’s boundaries with the outside world, and the boundaries within, need to be maintained. The reductionist’s perspective leads to a maintenance of the boundaries both within the organization and between the organization and its outside world. The ‘ivory tower’ reputation of some senior management teams is an indication of how some organizations are seen as separate and bounded within their own structure. And a frequent criticism amongst employees is that ‘the right hand doesn’t know what the left hand is doing’ … departments don’t communicate with each other. (c) Linear chains of causality can be used to understand the dynamics of the organization. The linear chains of causality that exist in machines and ‘assembly-line thinking’ further reinforce the reductionist’s approach. It is assumed that A causes B causes C. Much time is spent in organizations sorting out the reason why something has occurred in order to prevent it from happening again. The people that are spending this time assume that straightforward causal chains can be identified, isolated and altered. (d) Change can be introduced incrementally within organizations. New car designs usually evolve over time, with each year having some new variation over the previous years. Only rarely is there a quantum, or revolutionary, shift. And even then, much of the ‘established’ thinking is carried over into the new. Traditional organizations also tend to change incrementally, remaining stable and predictable from year to year. Of course, organizations may have periods of ‘revolution’, as we shall explore at a later stage of this module, but even during these times there is often a persistence and carry-over of some of the more deep-rooted aspects of the organization. (e) Organizations have ‘simple complexity’. While we may acknowledge that many modern organizations are complex, the assumption is held that their dynamics and any associated problems can still be understood if enough time and information is brought to bear on a particular problem or issue. Usually, effort is put into breaking down the component parts of the organization so they can be understood at their own level before reassembling the information to develop a complex understanding of what’s going on at the organizational level. (f) Organizations can be controlled from a key point. Like the driver in a car, the Chief Executive is seen as an individual who can control the speed and direction of the organization. The statement ‘change has to start at the top’ is evidence that this assumption is alive and well. Attempt to control the behaviour of individuals. Our traditional view of the world is increasingly being challenged, across a wide front of disciplines, by the connectivist paradigm. The connectivist’s world operates very differently from the reductionist’s world. Where the car was used to illustrate reductionism, the Internet will now be used to illustrate connectivism. The Internet exemplifies some of the paradoxes of complex systems, as well as some of the ways in which such systems maintain order. And each node having web-like connections with other nodes. This structure is simple, and yet it has allowed for phenomenal flexibility and breathtaking evolution in the design and content of the World Wide Web. Individuals can initiate change from anywhere within the system. A person can easily set up a new web site to become a part of the Internet or subscribe to a service and have immediate access to, and influence over, topics of their choosing. New information spreads rapidly, but understanding and consolidating knowledge becomes ever more challenging. Search engines become another level of organizing as individuals develop their own search and sort criteria for information and, hence, create their own structure and meaning. And the dynamics of the Internet are highly mobile. A web site can go from a very few hits to 100,000 hits within a 24-hour period if its content is judged to be attractive and interesting through the informal communication networks of the web. Within this basic structure there is constant change, creativity and innovation. The most powerful people in the connectivist world are those that shape the system gradually and persistently, based on their knowledge, interests and personal agendas. In the connectivist’s world, the whole is greater than the sum of its parts – as the Internet illustrates. The key assumptions associated with the connectivist’s approach to organizations are as follows. (a) Organizations can only be understood from the perspective of the whole system. Because organizations are complex webs of connections, we have to separate ourselves from them in order to be able to observe and understand them (we have to adopt a ‘meta’ position). We have to remove ourselves from the playing field and go up into the stand in order to see the dynamics of the game. And if you take the system apart (think back to our Internet illustration), you will find no meaningful discrete parts. Indeed, as the deconstruction took place, you would observe a gradual loss of functionality rather than a sudden breakdown. This is how human groups and organizations operate. (b) Organizations have connections that create blurred boundaries. Links and connections span traditional boundaries and make it impossible to have distinct boundaries the way various machine parts have in, say, a car. As commerce and industry has evolved, indeed, as nations have evolved, traditional boundaries have eroded. Co-operative ventures and agreed interdependencies in activity chain developments are an increasing characteristic of our connected world. (c) Organizations behave in non-linear ways. Unlike the linear causality of the reductionist paradigm, the vast number of connections within modern organizations create opportunities for discontinuous (revolutionary) change. The kind of thinking that is required to understand and influence these systems is that of working back from the outcome to understand the web of connections that create and maintain the system. (d) Organizations are always in dynamic flux. When many highly-connected variables are in play, high degrees of movement become a characteristic of the system(6). And as the number of variables within the system increases, so we experience an ever-increasing speed of change. We have all experienced this. With the onset of networked computer systems (intranets and the Internet), email, voicemail, and cellular phones, we experience an increase in the number of requests for a response that, in turn, causes us to feel we are living in an increasingly ‘urgent’ world. (e) Organizations have complex complexity. In contrast with the simple complexity of the reductionist worldview, the complex complexity of the connectivist’s worldview geometrically compounds the variables and unknowns we need to work with as leaders and decision-makers. A connected system is never closed from outside influences and is always affected by variables that exist outside of its own departments, functions or social groups. Our traditional mindset suggests that with persistence and good information we will be able to gather all the knowledge we need to make a good decision or solve problems. Complex complexity means we need to become comfortable with ambiguity and uncertainty. There will always be an element of continual learning and missing information in our decision-making and problem solving. (f) Organizations can be influenced but they can’t be controlled. Consensus, in turn, stems from a shared purpose. Due to their high degrees of connectivity, networks do not respond to force. Indeed, they resist it. By way of an illustration, we can consider the properties of wet sand. Wet sand is composed of silicon and saline and, maybe surprisingly, it performs in a similar way to a network. It resists the imprint of our foot when we stamp in the wet sand. However, when we place our foot down and wait, the wet sand allows our foot to sink into it. This capacity to ‘make an impression’ is akin to the influencing strategy that best works with individuals and groups, i.e. placing and waiting. The reductionist-driven legacy of the early scientific and industrial ages, that so profoundly shaped our perspective on organizations, is still with us today. As we began to develop machines that extended the capabilities of our bodies (the wheel, the steam engine, the internal combustion engine, the car) we also began to think in more machine-like ways and apply these mechanistic principles to our work, our organizations and ourselves. But more appropriate to the 21st Century is an emerging worldview that moves away from mechanistic images of reductionism and adopts the organic images of connectivism. The very real tension between these two worldviews becomes apparent when we contrast what is expected by tradition with the realities we experience. Here are five examples of this tension. (a) Perfection is expected first time vs informed experimentation. We are often expected to be – and are paid to be – ‘right first time’. Consequently, we think of an idea, we plan it carefully, and we expect it to work out the first time we implement it. That’s the way things ought to be … isn’t it? Well, most of our experiences tell us differently! We think of an idea, then we plan it and implement it the best we can. On the first pass, it often looks more like informed experimentation. There are things that we underestimated, factors we didn’t consider and surprises that occur. Each time we try something new we learn from the experience and use that learning to problem-solve and refine the original idea. Even though we intellectually understand the difference between perfection first time and the reality of experimentation, we often measure others and ourselves by the standard of perfection. This is one of the fundamental tensions between expectations and reality. (b) Goals are predictable with complete certainty vs additional and new goals will always appear. Each year, traditional performance management systems drive organizations to develop goals and objectives for the coming year, and then cascade these throughout the system. Usually, a staff appraisal system is tied into this process. Sometimes interim reviews take place in the form of supervision or 1-2-1’s. That’s the way things ought to be … isn’t it? In reality, surprising challenges present themselves almost continuously. And responding to these challenges may be more important than achieving some of the goals identified in the formal performance management process. This is a major dilemma. Do we shift our attention to the new challenges, or work towards those goals and objectives against which our performance and pay will be measured (not forgetting that ‘what gets measured gets done’)? The reality in goal setting is that the dynamic flux of a connected world creates situations that are more fluid than our goal setting systems would have us believe. (c) Control is expected vs absolute control is rare and cannot be maintained. Most of management literature implies that managers should be able to control all the employees that report to them. We talk of a manager’s ‘span of control’. This form of control is necessary in order for the manager to deliver expected outcomes or products. Managers are given authority and power over employees in order to ensure the appropriate levels of control are maintained. That’s the way things ought to be … isn’t it? In reality, absolute control over people is rare – even impossible. Think of the numerous ways people can resist control when they put their minds to it. While the illusion of control might exist for a period of time, it cannot be maintained over the longer term. What is possible is influence (remember the wet sand!). (d) Single mindedness and efficiency are the standards of competence vs detours fuel creativity and innovation. Single mindedness and efficiency are valued attributes in most staff appraisal systems. We measure our effectiveness, in part, by how long it takes us to get to somewhere. We complain about attending meetings, and the processes associated with making decisions because they rarely live up to our standards of single mindedness and efficiency. That’s the way things ought to be … isn’t it? The reality of human organizations is, again, very different. Few people are truly single minded and efficient. In meetings we watch the same conversation come up again and again. This is because complex agendas are running. Likewise, decision-making is fraught with the arguments that emanate from varying viewpoints. On the other hand, humans are unsurpassed in their ability to be creative and innovate. But they don’t accomplish this efficiently. (e) Predictability is assumed vs probabilities are the norm. We believe that people’s behaviour in organizations should be predictable and rational. That’s the way things ought to be … isn’t it? But rarely do we have this sense of predictability. We can see patterns that may indicate the probability of a future event, but we cannot predict what is going to happen. This concept can be illustrated by weather systems. We can accurately predict the weather for the next four hours, but not for the next four days. General weather patterns give us some indication of what future weather will be like, but these patterns do not tell us what will happen on a specific day. So it is with people in organizations – there is very little predictability beyond the immediate time frame. Yet we still spend many hours trying to predict reactions and events. If the organization we are working with is more like ‘The ways things actually are’ instead of ‘The way things ought to be’, we are working with a connected system that will be more organic than mechanistic. (b) Newtonian science which argues that physical systems are linear with simple complexity. As alluded to earlier, this is the paradigm that, historically, has had the greatest influence on the world in which we grew up. And, indeed, there are times in our highly-connected world when this paradigm is of great benefit. The American space programme that placed a man on the moon was founded on Newtonian science. Consequently, the connectivist paradigm does not supersede the reductionist paradigm, nor make it right or wrong – or less valuable. It is just that the reductionist paradigm is valid for a narrowing range of 21st Century experiences. So the reductionist and the connectivist worldviews are not mutually exclusive. It is not necessary to choose between one and the other. They both deserve a place in our toolkit. But given that the connectivist worldview is, for many – the unfamiliar view, the remainder of this module focuses on connectivism. And I hope it will become clear that practicing systemic leadership is about assessing the worth of operating from a reductionist point of view and a connectivist point of view within any given context, and then choosing accordingly. Systemic leadership is “both/and” not “either/or”.